Off the fishing subject a little, but well worth the mention. The American Legion Post on Lake Texoma hosted their 19th Annual Ragin Cajun over the Memorial Day Weekend and it was one fantastic event to attend. The event was to raise money for the local Boy Scouts to attend the Jamboree in Colorado. They had it all, crawfish, jambalya, cold beverages, bands, vendors, games for the kids and lots of people having a great time. If you are looking for a way to spend a fun day on Lake Texoma next year, remember to check them out. I hear that as next year is their 20th year it will be a blow-out so don’t miss it. 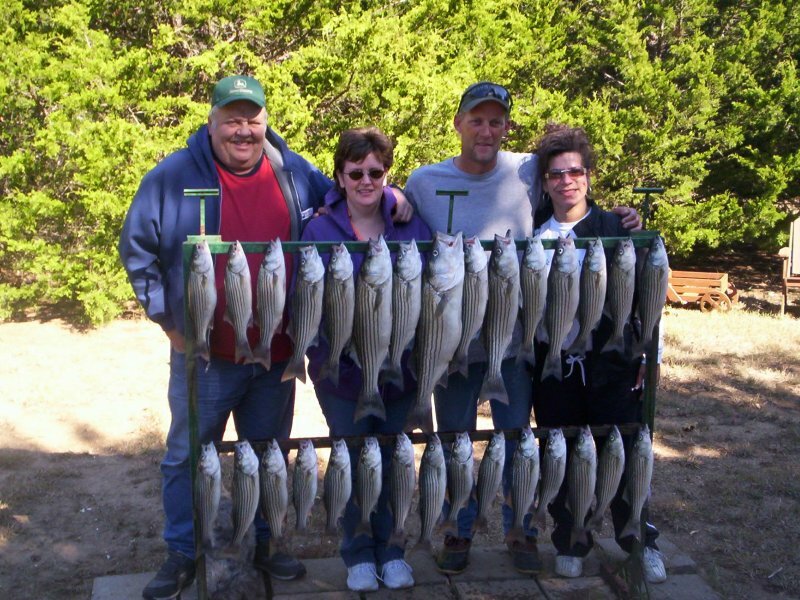 Marc has been a full time guide on Lake Texoma for several years and is a great choice for a fishing adventure. Lake Texoma Striped Bass makes for some delicious eating. Check out the new category – Striper Recipes – for some great ways to prepare your catch of stripers. Check back often for new recipes. Fishing from Highport Marina on Lake Texoma, Full time Lake Texoma resident fisherman Doug Keeter keeps up on the conditions of Lake Texoma and the whereabouts of the fish. 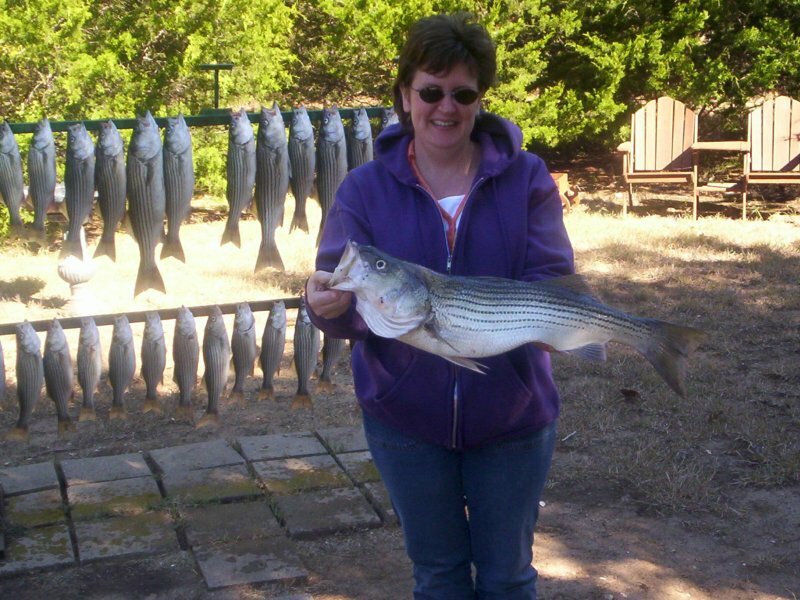 A guided striper fishing trip on Lake Texoma led by a professional, knowledgeable guide who lives on Lake Texoma and fishes the lake most every day ensures you your guide is up on where the fish are and makes the perfect gift idea for that special someone and makes a great incentive for employers looking for ways to reward your employees. With the Holidays upon us a striper fishing trip would be the perfect gift for the person who is hard to buy for. Doug caters to each and every angler whether they are seasoned veterans or first time fishermen. He assures you will enjoy your time on Lake Texoma, being assured you will not rush you back to the marina as soon as your limit is caught. Doug is a also a great fishing instructor. 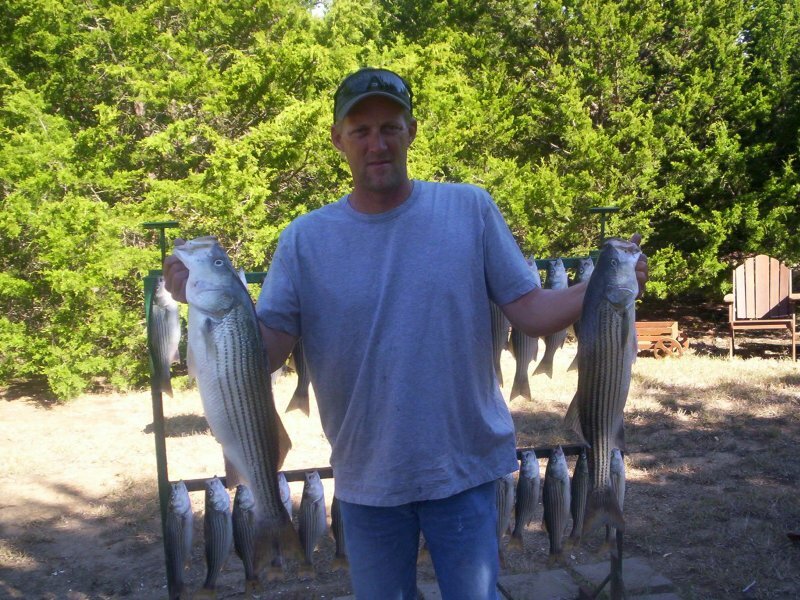 No amount of experience is needed as we will have you hauling in big Lake Texoma stripers in no time at all.